Mercredi 12 novembre 2014 21:08. 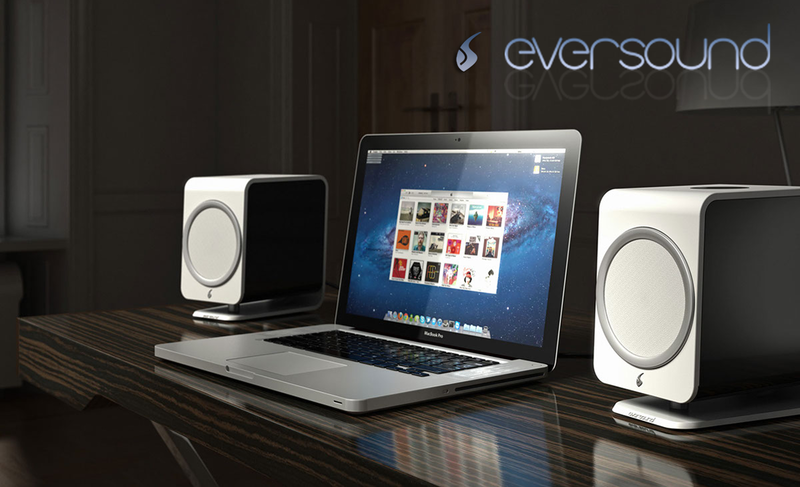 I am writing to you today about Swiss speaker company Eversound in Schaffhausen; and our latest model, the Essence, a very compact active speaker system which features an internal 24-bit/96kHz USB DAC designed for us by Gordon Rankin of Audioquest Dragonfly fame. In October we had the product’s world premiere at the Son & Image show in Paris where the reaction from both the public and others in the industry was very positive and rewarding. 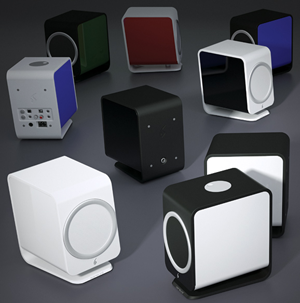 We think the Essence are the world's most compact speaker with genuinely high-end performance. They sound fantastic with unmatched clarity. Vocals and stereo imaging especially are superb. Audio quality has been the primary aim for our company from the start. It’s our driving force and the main factor that turns heads when we demonstrate our product. In terms of design, engineering, sound quality and craftsmanship, there is no speaker like it of this size and price. It’s in a class of its own. It fills the gap between mainstream and high-end. We think it creates its own market segment, a competitively priced premium system with mainstream appeal. Many people will purchase it for the design, many for the sound quality but we’re certain it'll be a hit with audiophiles and design-conscious consumers alike. The Essence is a modern elegant speaker, beautifully designed and engineered with impeccable craftsmanship. Whilst my schedule was packed like a sardine can, still nothing just then was booked for the desktop. So, zut alorski, I opted in. The Essence checked off strong patriotic bias. That'd offset our not partaking of fondue, raclette and wines from our canton of Vaud. Surely reviewing 'em would net me brownie points with Swiss immigration when we applied for passports five years hence? They also ticked off active bias. C'mon, passive speakers are so last century. Then they tickled lifestyle smarts which think that monkey coffins belong 10 feet under in the hifi cemetery. And they exuded that fresh attitude of perfectionist appliances like a 600HP+ Bentley whose owner's manual calls its power sufficient. Except this wasn't a V12 twin turbo but a most compact crotch rocket; if hifi had such things. Sure, a ~$2'600 active billed as computer speaker would drive Tidal subscriptions haters who think music should be free up the tree. With a name like 6moons, we're simply made of sterner stuff than worry about tree-climbing primates. I particularly enjoyed the offer of personal delivery with some unassembled bits and bobs in tow. Seeing how things go together appeals to my well-suppressed inner tinker. Clever mechanical engineering can be a thing of rare beauty and stimulating all by itself. "There are plenty of cheap plastic speakers out there and a sizable high-end audio market which sells speakers for tens of thousands. What there isn't is something in between, an audiophile-quality product which caters to the everyday consumer. Audiophile quality for the masses. Incorporating the highest quality components, the latest technology and being Swiss made, we build the Swiss watches of speakers." In this country, them's fightin' words. Of course with an Ulysse Nardin Freak Cruiser, you're looking at a $87'500 watch. A better tie-in with today's speaker would be something like a €1'228 Aerowatch 1942 Skeleton Automatic - still très chic but a lot less cough; and telling time every bit as precise. As would a Swatch. It's where the tie-in with watches would seem to crumble. 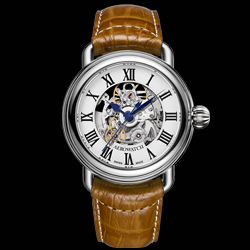 Be it tourbillions, unusual escapements or other complications, luxury mechanical watches sweat the how. The what—keeping time—is no different from a Casio. High-end audio is mostly about distinguishing the what. Whilst gear heads do geek out big over the how—tubes, transistors, beryllium or silk dome tweeters—in general it's about the end, not the means. Unlike with luxury timekeeping, possible ends are very far from identical. With the Essence, its propaganda simply promises an unusual mechanical put together too. It makes the watch thing neither a put on nor a put off but adds a less common aspect to hifi ownership. With the Eversound, you may geek out also over just how cleverly it's been fitted up. Now that I just had to see. Personal delivery it was then. Sacrément?